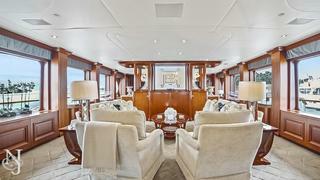 The 150-foot (45.7m) superyacht ELISA has a spectacular layout maximizing both interior and exterior spaces, making her ideal for large families of all ages as well as a charter yacht, if desired. 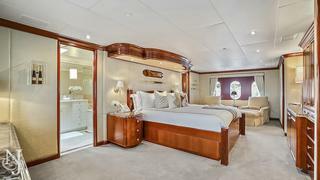 The superyacht showcases a gorgeously elegant interior with timeless styling that features fine-crafted American cherry joinery throughout complimented by beautiful stonework and high-quality fixtures. 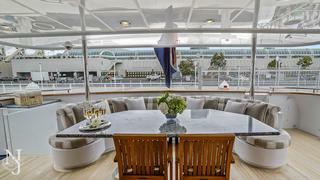 The superyacht's main salon and skylounge provide the perfect spaces to relax in comfort as well as socialize with friends and family. 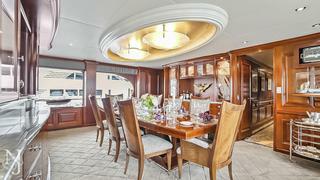 Delightful meals can be enjoyed in the formal dining located forward of the main salon. 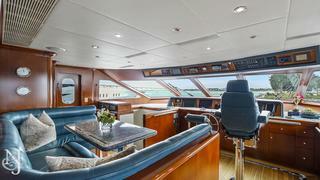 ELISA allows for easy mobility throughout, with an all-levels elevator. 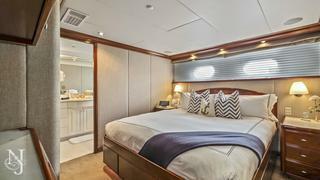 ELISA offers six sumptuous staterooms for up to 12 guests. 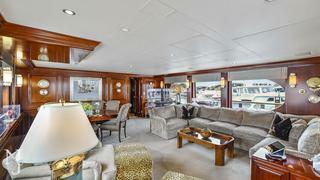 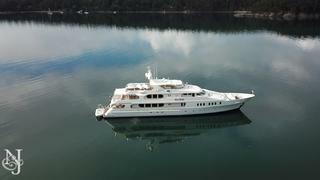 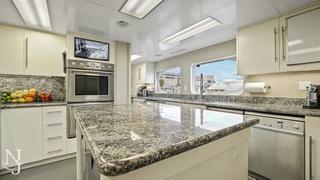 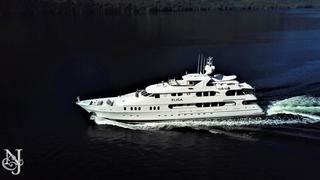 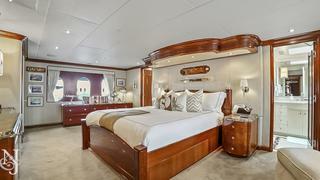 Her main-deck master suite offers a plush king-size bed, walk-in closet and his-and-hers en-suite baths. 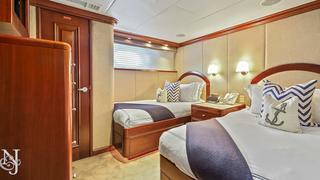 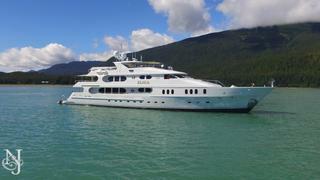 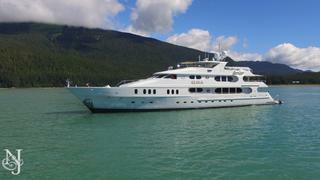 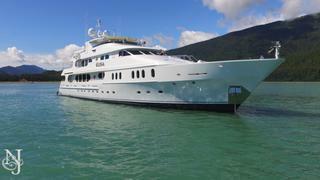 Her additional accommodations below deck include two king staterooms, two queen staterooms and a twin stateroom. 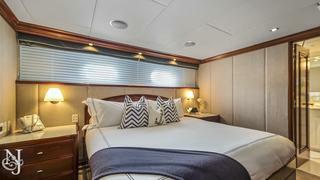 Each stateroom is complete with its own private en-suite bath with full-size shower stall. 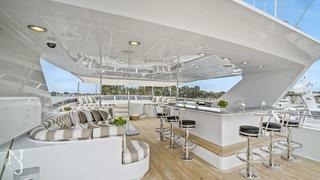 The luxury yacht’s exterior living spaces are abundant allowing for true enjoyment of the alfresco lifestyle. 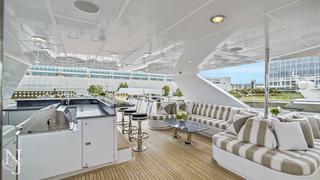 ELISA’s sundeck is a spectacular space to spend days lounging enjoying the views as well as soaking the in Jacuzzi, enjoying a drink at the bar and a meal prepared on the barbeque. 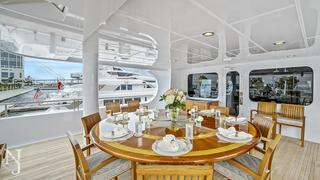 The superyacht offers impeccable spaces for dining alfresco on both the aft deck and bridge deck aft. 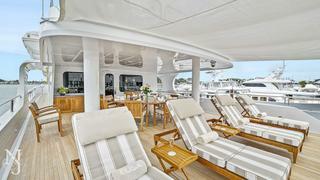 Lounging in the sun also can be enjoyed on the bridge deck aft.